It was Super Bowl Sunday 1983. I don’t remember who won the game. I don’t even remember who played. All I remember is the show which came on afterward. For a nine-year-old boy, it was the greatest show ever. There were helicopters and rocket launchers and a really cool black van. Howling Mad Murdoch was hilarious; Face was cool; and B.A. Baracus was just plain awesome. Colonel Smith was the man with the plan. 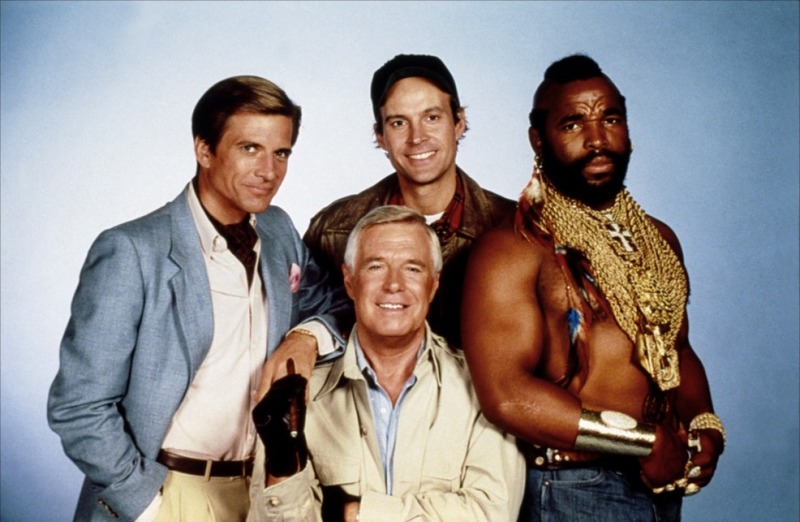 The A-Team quickly became my favorite show. In every episode, the team found themselves in seemingly impossible situations. Colonel Smith, however, would always come up with a plan. Cut to a montage of the team creating weapons and tripped out vehicles from duct tape and everyday household items as the theme music played loudly in the background. Just like Colonel Smith, God always has a plan. When God called Jeremiah to be his prophet, he told him, “Before I formed you in the womb I knew you, before you were born I set you apart: I appointed you as a prophet to the nations” (Jeremiah 1:3). God had plans for Jeremiah. God has plans for you. In fact, he had plans for you before you were even born. He chose you from eternity to be his child. He planned who your parents would be. He planned whom you would marry. He planned how many children you would have. The fact you are reading this article right now is a part of God’s plan. The problem is that God’s plans are not always our plans. We often don’t understand God’s plans. How can God plan and control all things and yet give us choice? We aren’t helpless, hapless victims of fate. You are free to choose whom you will marry. You are free to choose what you will study in college and which job you will take. In the end, though, it is all a part of God’s plans. We can’t understand that. God’s plans exist in a place we cannot see. Oftentimes our lives appear to be a chaotic mishmash of unrelated events, but God assures us that he has a plan and that his plans are for our good (Jeremiah 29:11). God’s plans for you and for your life end with you in heaven. From the very beginning, God knew the bad things you were going to do. He knew how you would mess everything up. So he planned a way to pay for your sins. He planned your salvation. God planned your salvation from the very beginning. He promised Adam and Eve a Savior. He worked all of history to bring that Savior into the world. Pharaohs and Kings and Caesars wittingly and unwittingly formed part of that plan. Then, when the time was just right, God sent his Son into the world. It often seemed like God’s plans were falling apart. Suddenly Jesus had spikes driven into his hands and feet. Suddenly he hung from a cross slowly suffocating to death. But it was all a part of God’s plans. On that cross, Jesus suffered your punishment in your place, just as God had planned. You believe in him right now because God planned and placed people in your life who shared with you the good news of God and his love. There is no such thing as chance. There is no fate. There is no luck.